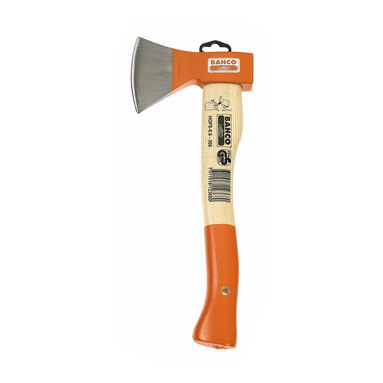 Bahco hatchet axe - ideal for all-round garden use including; wood chopping, log splitting and much more! Thin 0.8mm blade enables a clean cut every time. High quality curved ash wood handle for durability, secured by a jagged carbon-fibre wedge. 8mm hole in handle for easy storage.